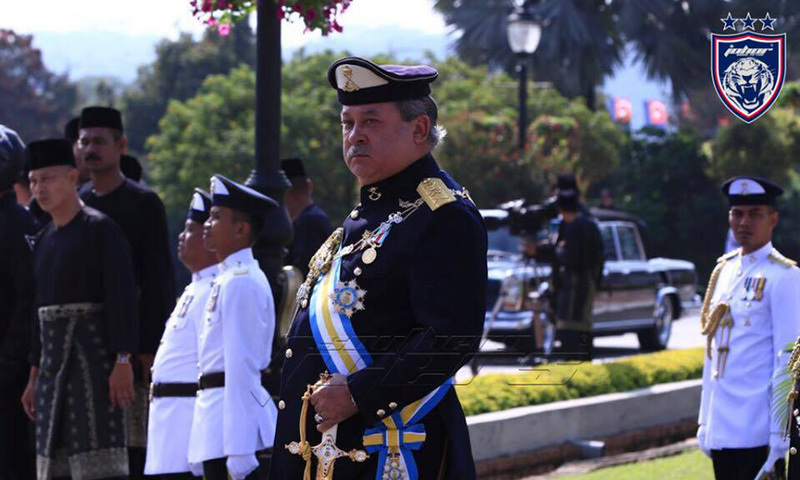 Johor crown prince Tunku Ismail Sultan Ibrahim has alleged he and his father, Sultan Ibrahim Sultan Iskandar, are still being monitored, but this time by the new government. In a Facebook posting, Tunku Ismail, who is popularly referred to as TMJ, claims he was informed of this by "government officials." He further linked this to Putrajaya's alleged use of Israeli-made surveillance and intelligence-gathering technology – of the same kind certain individuals had asked him to purchase. "A few government officials came to me saying that the MACC, Special Branch, Communications and Multimedia Commission (MCMC), and the Prime Minister's Office have been using it. "When it comes to national security, I think it is something we need, but these same devices should not be used by individuals for personal gain," his post read. "I know the former government used this, but this is supposed to be 'Malaysia baru' – it is no place for such practices any longer. "It is not nice when officials come to me saying that my father, the Johor sultan, and I are being monitored." Tunku Ismail further alleged that cybertroopers have been "planted" on his and the sultan's official social media pages, as well as that of the Johor Darul Ta'zim Football Club, "in case there is something that does not go down well with certain higher-ups." Malaysiakini has contacted the Prime Minister's Office, an aide to Communications and Multimedia Minister Gobind Singh Deo and Bukit Aman for a response. Tunku Ismail made similar claims in 2016, alleging that his phone was being tapped and that his movements were being monitored by the Special Branch. He had also claimed that the Bukit Aman police headquarters has opened files on him and his father. In his Facebook post, Tunku Ismail said he had nothing against the new government, but stressed that he would not ignore alleged wrongdoings. "Let me be clear, I have nothing against the government. 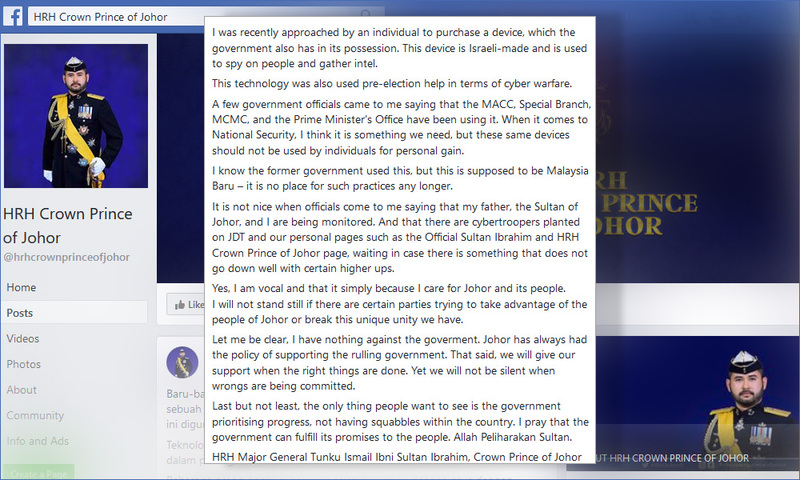 Johor has always had the policy of supporting the ruling government. "That said, we will give our support when the right things are done. Yet we will not be silent when wrongs are being committed," he said. Tunku Ismail added that he was being vocal in the in the interest of all Johoreans. "I will not stand still if there are certain parties trying to take advantage of the people of Johor or break this unique unity we have."